Nigeria’s National Root Crops Research Institute (NRCRI) – Umudike and the International Potato center (CIP) have released a new orange-fleshed sweetpotato (OFSP) variety. Solo Gold— UMUSPO4—was officially released in July 2018 bringing the total number of OFSP varieties in Nigeria to three. The other two are UMUSPO3 referred locally as ‘Mothers Delight’, and UMUSPO1, which is known as ‘King J’. “Solo Gold has special characteristics preferred by farmers such as a higher dry matter when compared to Mothers Delight, and a much higher beta carotene content when likened to King J. Also, it’s tolerant to sweetpotato weevil and resistant to sweetpotato viral disease. 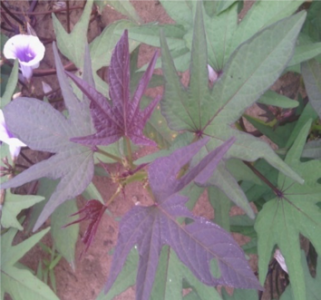 It matures in three to four months”, said Dr. Jude Njoku, CIP Agronomist working at NRCRI. These characteristics make Solo Gold a good candidate for farmer and consumer adoption across Nigeria. OFSP is a nutritious type of sweetpotato that is additionally rich in beta-carotene, a precursor of vitamin A. Beta-Carotene is an organic, strongly colored red-orange pigment abundant in plants and fruits. Beta-carotene is what gives OFSP an orange color and is converted to Vitamin A in the body after consumption. The orange color of OFSP is indicative of the level of beta-carotene present; the more intense the color, the more vitamin A present. OFSP also has powerful antioxidants that help prevent cancers, as well as natural sugars, which are slowly released into the bloodstream, helping to ensure a balanced source of energy, without the spikes in blood sugar that are sometimes associated with fatigue and weight gain. OFSP as a staple food in Nigeria can serve as an affordable and sustainable source of Vitamin A, especially for vulnerable populations. It is commonly consumed as a vegetable (boiled, fried or roasted) as well as in different products through processing and value addition for improved household food intake. These foods include amala (swallows), puff-puff, chips, cake, gari, vegetable soup, doughnut, pottage, bread, chin-chin, juice and kunu. OFSP products can be commercialized for income generation, job and wealth creation for all, especially women and youth. National Variety Release Committee members and farmers led by Sweetpotato Breeder Dr. Solomon Afuape (back row 6th from right) who visited the on-farm trials during harvesting and evaluation of genotypes at Ijebu-Oru, Ogun State.